Great news just keeps on coming for K-Pop fans in Hong Kong, Indonesia, Malaysia and Thailand! JOOX, Asia’s most popular music streaming app, is exclusively bringing you Soribada Best K-Music Awards (SOBA), up-close and in the comfort of your home this August. 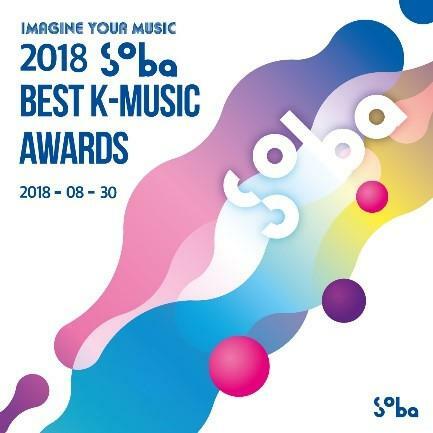 Celebrating its second year, SOBA recognizes the best and most popular K-Pop artists and songs throughout the year, with fans voting for their favorite idols for the awards. This year’s event features a star-studded K-Pop idol group lineup including BTS, TWICE, Wanna One, MAMAMOO, MONSTA X, AOA, Red Velvet, NCT127, Bolbbalgan4, NU'EST W and Momoland. This year’s SOBA gets the K-pop fever even hotter with the exclusive livestream on JOOX, on August 30 afternoon (6 PM KST). Join the much-awaited celebration and cheer for your favorite pop chart-toppers! RSVP now to add this must-watch show to your live schedule page! Unable to watch the action live? Fans can replay the show free via video-on-demand and exclusively on JOOX for three months ongoing until November 30, 2018, with optional English subtitles provided together with additional highlights on the red-carpet session and interviews with your favorite artists! Stay tuned for more exciting exclusive livestreaming K-pop experiences! To enjoy your favorite K-Pop music and live performances anytime, anywhere, download JOOX from either the Apple App Store and Google Play Store, or access the JOOX website. BTS official t-shirts never fail to create style statements and steal everyone glances. They enhance and enrich the overall personality of the one who is carrying it and offers extra hints of confidence.